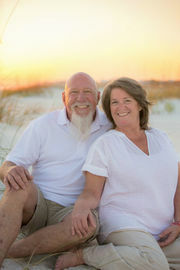 Norm, a native Floridian and Jodi, a west coast girl who relocated to PCB in 2008, have a true passion for the beach life. Their dedication to family, community and heart for service are evident; complementing one another both in business and in life. With Norm’s 40 years of experience in construction management and Jodi’s 30 years of experience in office management; they are a one-of-a-kind real estate team.